Last Tuesday, the Pew Research Center’s Religion & Public Life Project published what may be the most thorough and reliable study of the political, cultural, social, and religious attitudes of Jewish Americans in many decades. Based on 70,000 screening interviews and nearly 3,500 intensive ones, the report, titled “A Portrait of Jewish Americans,” identified multiple factors that comprise American Jewishness. These include religious practices, ideological views, a sense of identification with the Jewish community, humanist values, a commitment to remembering the Holocaust, emotional feeling for Israel, food, and a particular sense of humor. What it did not include is a commitment to conservative politics. I have addressed this topic numerous times, most recently to point out that stories arguing that Jews were getting ready to abandon President Barack Obama in 2012 were complete nonsense, the incredibly expensive efforts of right-wing funders such as Sheldon Adelson notwithstanding. Now we have the data and so much is clear: Neither the Jewish professional world, which is mostly conservative, nor the hardline Jewish neoconservatives in the media speak for American Jews. The Pew study found that 69 percent of Jews say they feel “very” or “somewhat” attached to Israel; 43 percent believe caring about Israel to be an “essential” part of their Jewish identities; and 44 percent believe it to be “important but not essential.” Suffice it to say that these groups consider it important to be “pro-Israel,” but what does that term mean to American Jews? [The Pew survey] shows a huge disconnect between the self-proclaimed “pro Israel” lobby that generally supports the Netanyahu government without question and the sentiments of the actual Jewish public they purport to represent. Just 38% of American Jews say that the Israeli government is making a sincere effort to establish peace with the Palestinians. Only 17% think the continued building of settlements in the West Bank is helpful to Israel’s security, while 44% say that it’s harmful. In response to nearly all of Pew’s questions about Israel, young Jews were more likely to be critical of Israel and less likely to feel attached to Israel. A quarter of Jews aged 18 to 29 believe that the U.S. is too supportive of Israel, according to Pew. This helps explain the fact that when Secretary of State John Kerry asked for the help of American Jewish organizations to encourage Israel to be more forthcoming to the Palestinians in peace negotiations, they balked, save for a small minority of more liberal-leaning groups. Yet according to the survey, it is these liberal-leaning groups—particularly J Street, whose fourth national policy conference recently hosted Vice President Joe Biden, Israeli Justice Minister Tzipi Livni, and Labor Party leader Shelly Yachimovich, among many others—who best represent the views of American Jews. Seventy percent of Jews are Democrats or lean Democratic compared to just 23 percent who are Republican or lean Republican. This is true despite the inroads that Republicans have made with Orthodox Jews, who are the fastest-growing denomination. 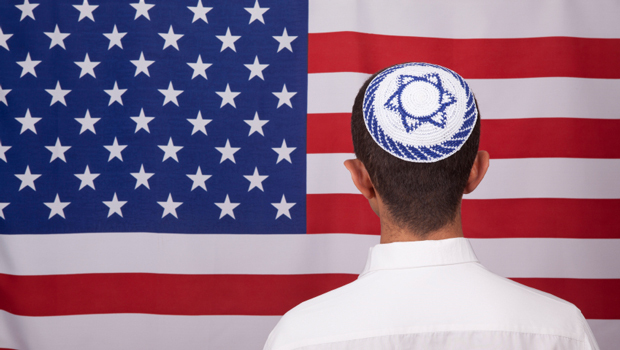 While 39 percent of Americans are Republican or lean Republican, 57 percent of Orthodox Jews are Republican or lean Republican, according to the Pew survey. Almost two-thirds of Israeli Jews believe it is more important for their country to maintain a Jewish majority than to maintain sovereignty over the West Bank. Only 21 percent feel maintaining sovereignty over the West Bank is more important than preserving the Jewish majority and 7 percent believe both are equally important. Eric Alterman is a Senior Fellow at the Center for American Progress and a CUNY distinguished professor of English and journalism at Brooklyn College. He is also “The Liberal Media” columnist for The Nation. His most recent book is The Cause: The Fight for American Liberalism from Franklin Roosevelt to Barack Obama, recently released in paperback. He is currently at work on a book about American Jewish culture.